Les Blues haven't had a better team in recent times. Winning Euro 2016 at home seems possible. The 2016 European Championship is just five days away from concluding. We are now left with four nations, who are each two wins away from lifting the Henri Delaunay Trophy at the Stade de France on July 10. Each semi-finalist nation has had its share of selection problems, with players either injured or suspended. With most professional clubs beginning their pre-season training this week, some of the eliminated teams’ players have already found new employers. With hefty price tags, upwards of £30m, transfers such as Poland’s Grzegorz Krychowiak, signed by Paris Saint-Germain from Sevilla, and Belgium’s Michy Batshuayi, signed by Chelsea from Marseille, are just two examples of recently concluded transfer market activity. However, for the players of Portugal, Wales, Germany and France, there is still a mountain to climb before the start of a new club season. Portugal take on Wales, while Germany will square off against hosts France in an attempt to book a place at the Stade de France this Sunday. Here is a look at all four teams and their chances. 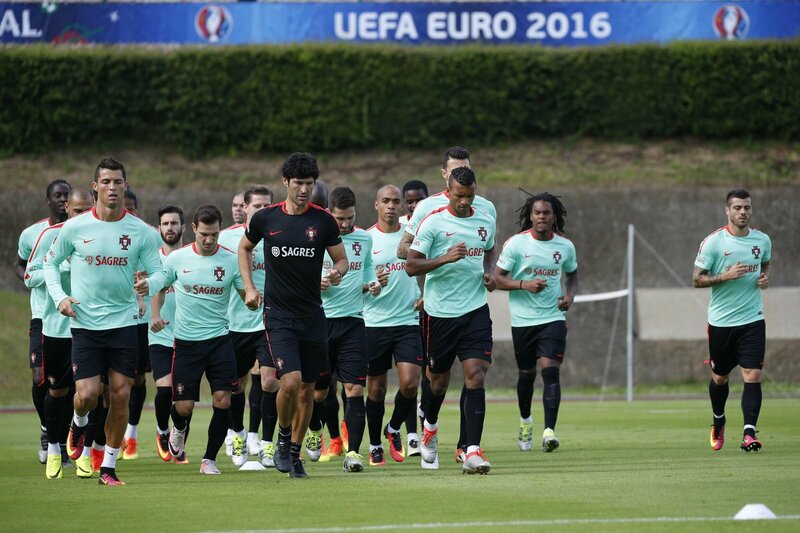 Portugal seem to have no problem in admitting their style of play has been far from clinical. In the last last five European Championships, they have managed four semi-final appearances, including a loss in the final on home soil against an unsuspecting Greece in 2004. After recording just one win in normal time so far in this tournament, Portugal are hanging on a really short thread. In the semi-final, Portugal will have to play without suspended central midfielder William Carvalho, who has started the last four games. Carvalho sits deep in the midfield and allows the likes of Renato Sanches and Adrien Sliva freedom moving forward. With an accuracy of 89% in passing and 81% of them being forward passes, his disciplined anchor role has allowed Portugal the leeway to continue pressing forward late on in the game, as seen against Croatia. In his absence, manager Fernando Santos has two options. The first is Danilo, who operates within the same space as Carvalho and is adept at passing, but lacks the latter’s defensive rigidity. In his only 90-minute outing against Iceland, Danilo was successful in only 26% of his tackles and headed duels. Another option would be Joao Moutinho. 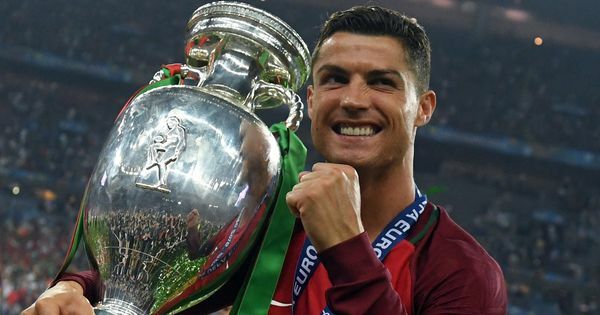 Portugal have a realistic chance of getting to the European Championship final without winning a single game in regulation time. Cristiano Ronaldo has had 10 unsuccessful free kick attempts and has failed to covert 91% of his chances this tournament. With Renato Sanches appearing to have shown some sort of promise and desire in the midfield, Portugal will need to do more than just rattle Wales if they want to have a shot at getting to the final this year. Newcomers Wales are playing a brand of free-flowing football, which culminated with free agent Hal Robson-Kanu ousting two Belgian defenders in the box with a Cruyff turn, before slotting it past Thibaut Courtois in goal. Against Belgium, Chris Coleman’s side found their rhythm being pumped into them by Arsenal midfielder Aaron Ramsey. The 25-year-old completed 60 passes – the most in his team against Belgium – and leads Wales with 15 key passes this tournament, out of which four were assists. However, he is suspended against Portugal for the semi-final, along with defender Ben Davies. Even though Ramsey’s absence will have a significant impact on the Welsh midfield, notably Joe Allen and Joe Ledley having to put in extra shifts, the forward movement of Gareth Bale will give them a lot of hope. The Real Madrid winger attempted to take on the Belgians nine times and did so with five successful dribbles, three more than second-placed Eden Hazard, in the game. The Welsh back three, whose combination of 33 clearances kept Belgium at bay, will be broken up in the semi-finals, with the unavailable Davies. The Ramsey-shaped hole in midfield will be a big gap to plug for the Welsh, especially with the pace of Joao Mario and Renato Sanches’s ability to string quick, short passes through the middle of the pitch. Wales need to focus on what they’re good at, rather than trying to counter Portugal's tactics. Robson-Kanu is likely to start and his performances this season might go down as the best by a free agent at an international tournament in a long time, having won all three of his offensive aerial duals against Belgium. Wales have nothing to lose, or any expectation to live up to. They know their performance in this tournament will help shape their nation’s footballing future. With the determination they've shown in this tournament so far, it would not be surpassing to see Ashley Williams lead his side into the final of their first ever European Championship. The world champions have looked the most comfortable and well-oiled side in this tournament. They have reached the final four conceding only once – from the spot against Italy. With the second-youngest squad in the tournament, Die Mannschaft have relied on Toni Kroos's inability to misplace a single pass and the ability of Mesut Ozil to either pick out a teammate in the final third, or find himself in a goal-scoring position. Against the Italians, the Germans shrewdly lined up in an identical formation, with three main central defenders and two wide wing-backs. This worked perfectly against the Italians, who looked toothless for a good part of the 120 minutes. A structured spine of Mats Hummels and Jerome Boateng, with Kroos sitting slightly ahead and always available for a pass, allows Ozil the freedom to play from either flank, or even through the middle. Germany’s attack comes through the Arsenal No 11, with Thomas Muller having a disappointing tournament. Unable to recreate his World Cup or league form, Muller has shot with just 31% accuracy in this European Championship and is Germany’s weakest link when moving forward. The onus then shifts to Ozil, who has made 16 key passes this tournament – the third best, but only one of them an assist. Going through to the final will not be an easy task. Hummels is suspended, while both Mario Gomez and Sami Khedira have been ruled out of the tournament by injury, and second-choice midfield veteran Bastian Schweinsteiger is also doubtful. If Germany are to recreate a dominance in world football, akin to what Spain have successfully done in the past, their focus on ruthless, clinical finishing must be key. With Gomez out and likely to be replaced by either Mario Gotze or Julian Draxler, leading the German front line will be daunting, but far from impossible for the current crop of German youngsters. What do you do when you’re the home nation, up against the tournament’s favourite underdog narrative? You hammer five past them in exquisite fashion, including a thumping header off a corner, a fabulous dink above the goalkeeper and a slotted shot in the bottom corner. That’s exactly what France did against minnows Iceland, whose heart just seemed to run out of power and energy with every minute they played against the hosts in the quarter-final. 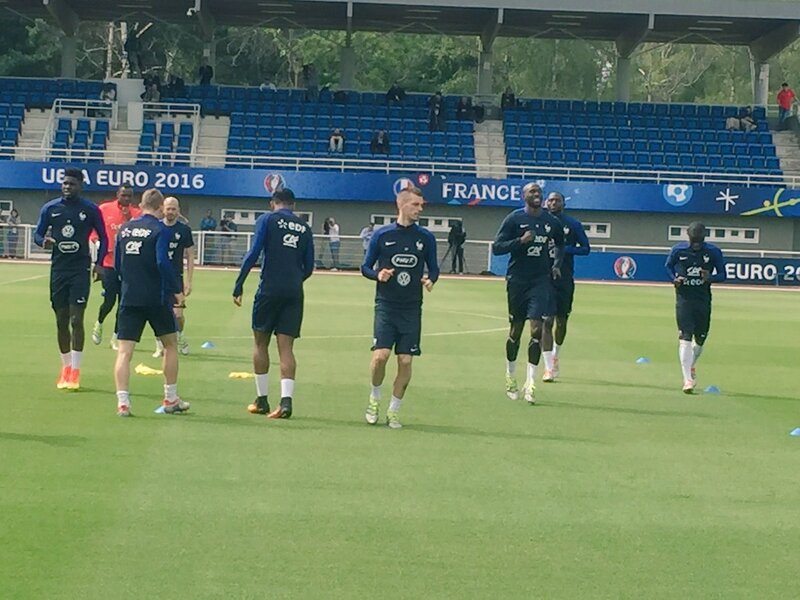 Unlike the other semi finalists, France have central defender Adil Rami and central midfielder N’Golo Kante back from suspension. Dimitri Payet has taken centre-stage and is outperforming his high-profile teammates such as Paul Pogba and Antoine Griezmann. Not to say that either Pogba or Griezmann have under-performed, but Payet’s 19 key passes – two of which were assists – is the second-best in the tournament. He prefers to receive the ball right outside the edge of the area and 13 of his 17 attempts have been from outside the box. The West Ham attacking midfielder also has the third-highest number of take-ons this tournament with 14, but at a 78% success rate, it makes him more effective than most players in his position. This liberty of floating on the edge of the area is allowed because of the French central midfield triplet of box-to-box midfielders: Pogba, Blaise Matuidi and N'Golo Kante. All three excel in winning possession in their own half and have the ability to pick out a long forward pass to target man Oliver Giroud. The Arsenal forward has won 70% of his aerial duels this tournament, most of them in the opponent’s half. France have never had a better team at an international tournament and winning the European Championship at home is a much more solid reality than a distant thought for Didier Deschamps’ men going into the semi-final.